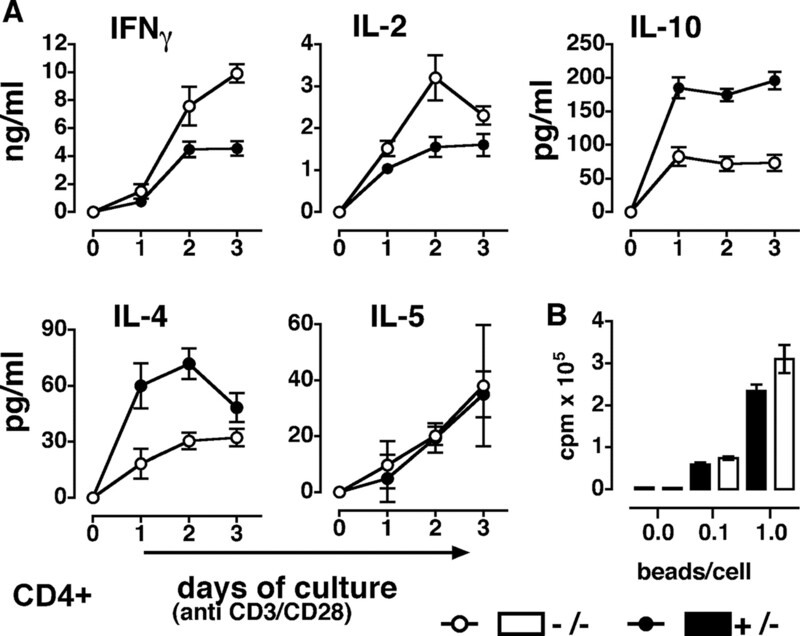 Time course of Ag-dependent CD8 activation and memory responses in IL-20R2−/− mice. 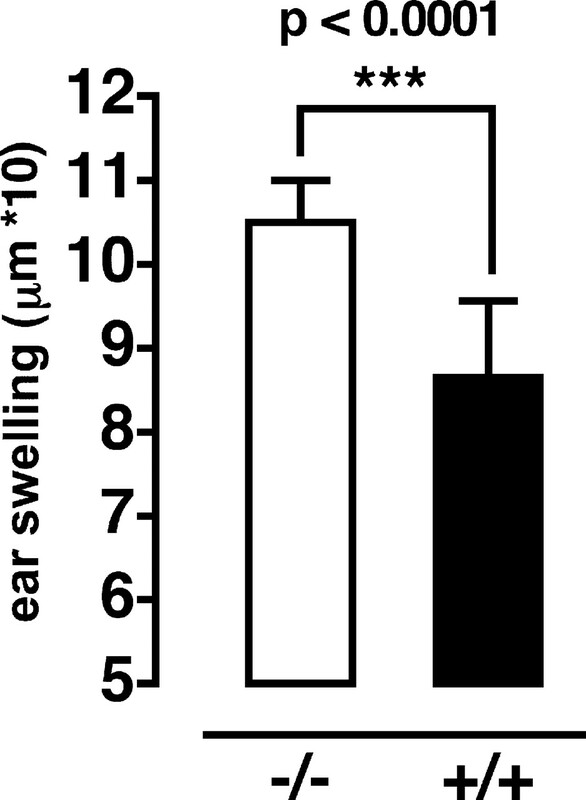 Mice (n = 15) were immunized with 50 μg (1 μg/ml) of pCI/S DNA vaccine (encoding HBsAg) into each tibialis muscle. Thirty days after first vaccination, a group of mice was boosted with pCI/S and analyzed 12 days later. 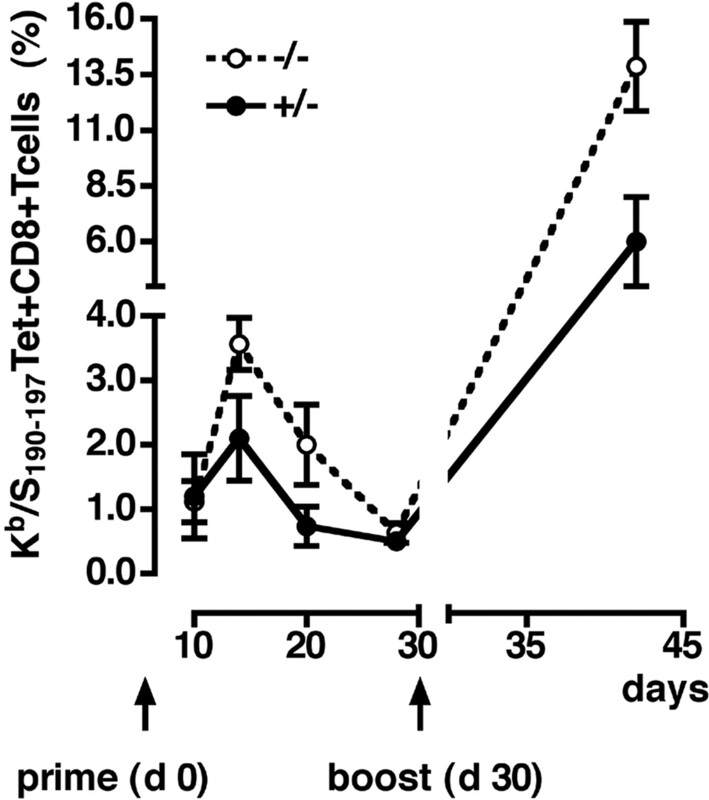 At the indicated time points postimmunization, freshly isolated cells were stained to detect specific CD8 T cells with Kb/S190–197 tetramers exactly as described in Fig. 6. Mean values (±SD) of three mice per time point are shown. The experiment was repeated twice with identical results. a SRT-PCR, semiquantitative RT-PCR; Q-PCR, quantitative PCR. Nucleotide sequences of primers used for RT-PCR (SRT-PCR) or quantitative PCR (Q-PCR). Sequences are written from 5′ nucleotide position (left) to 3′ nucleotide position (right) of the source sequence. Reference sequence: mIL-20R2, NM_001033543; mIL-6, NM_031168. In addition to cyclophilin (24 ) (NT_03947624), commercially available primers (SABiosciences) for the housekeeping genes mβ actin (NM_007393) and Hprt1 (NM_013556) were used to equalize cDNA amounts between preparations. Q-PCR was performed as described previously (24 ). 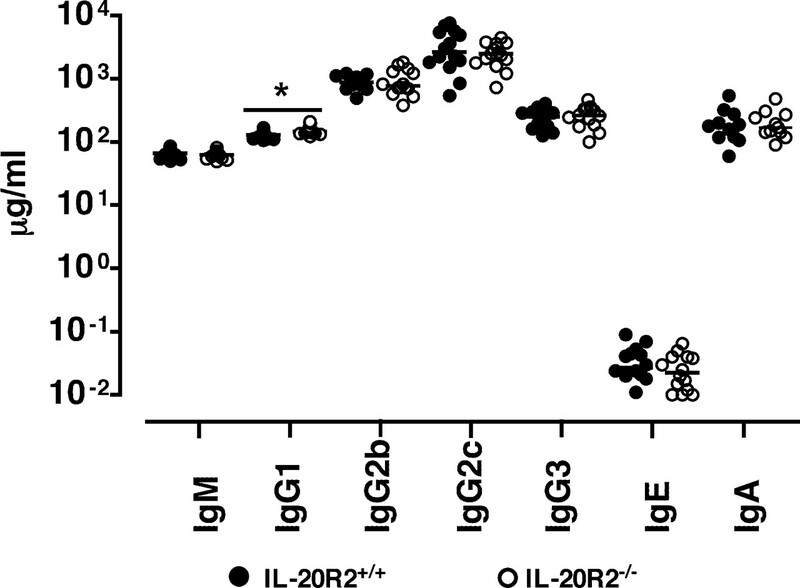 a CD4 and CD8 T cells were isolated from IL-20R2−/− or IL-20R2+/+ spleen cells by MACS. 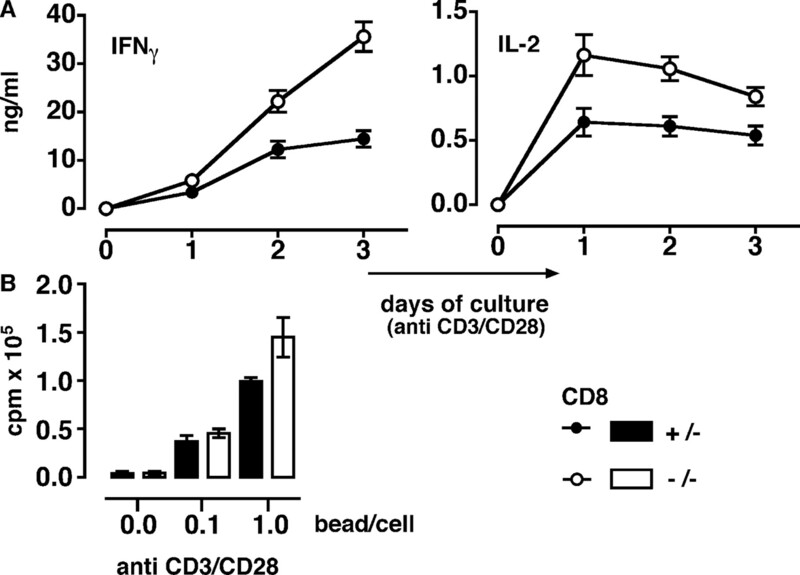 Cells were analyzed after 3 days of culture with anti-CD3/CD28 beads (1 bead/cell). 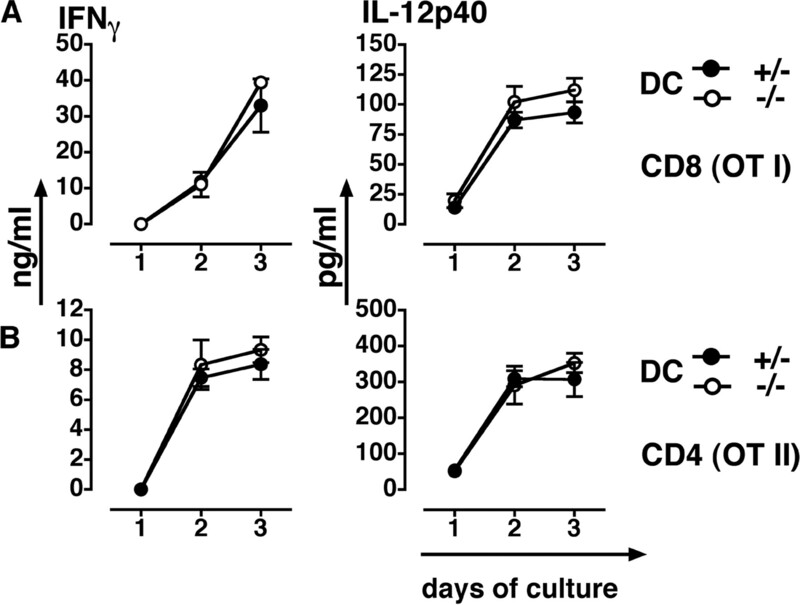 The table shows cell numbers as well as the proportion of IFN-γ- and IL-2-positive CD4 and CD8 T cells in IL-20R2−/− and in IL-20R2+/+ T cell cultures at day 3. One representative experiment of three is shown. 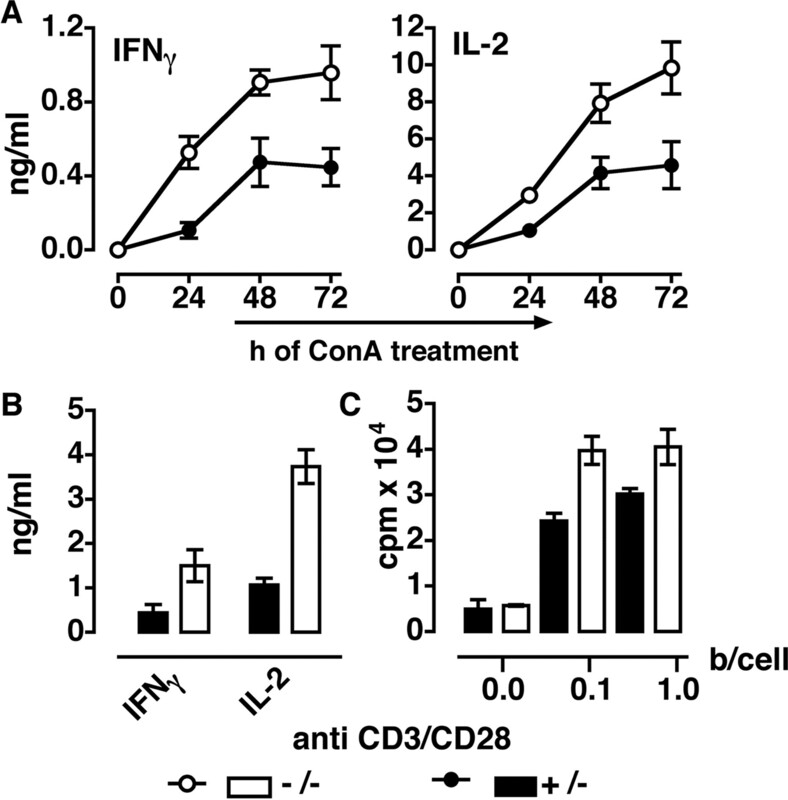 Supplemental Figure S1 (PDF, 57.2 Kb) - IL-20 regulates IFNγ secretion of stimulated CD4 and CD8 cells. 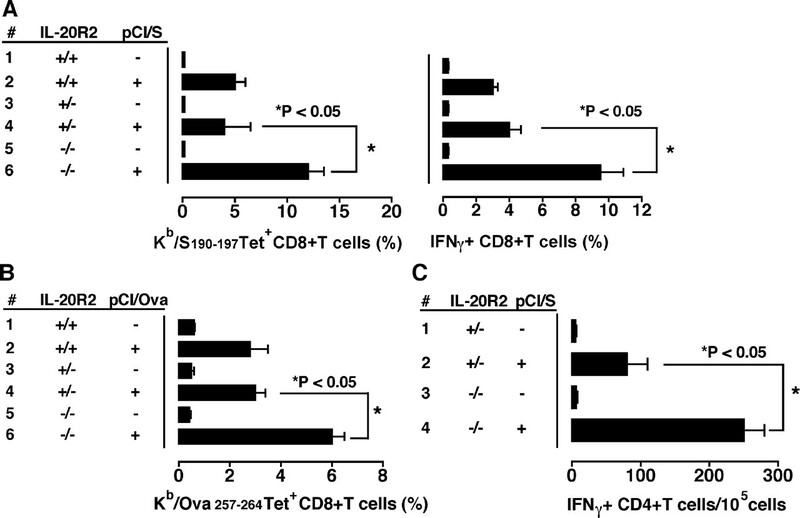 CD4 (A) and CD8 T (B) cells were isolated from IL-20R2-/- (ko) or IL-20R2+/+ (wt) spleen cells by MACS. Cells were cultured at a density of 1x106 cells/ml and activated with αCD3/CD28 beads (0.5 bead/cell) with or without mIL-20. 48 hours later IFNγ concentration was determined in cell culture supernatants by ELISA. Bars represent mean ± SD (n=3) of one out of three similar experiments. A representative (out of three independent) experiment(s) is shown.